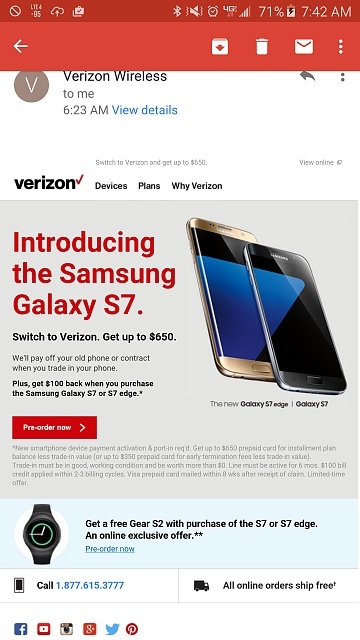 Verizon is offering $100 bill credit with port in. You also get the s2 or vr free. This will stack with Verizon's up to $650 for port in promotion.